Trusted by the biggest names in the business, Wireless Links Reefer Temperature Monitoring And Temperature Tracking solutions enable real-time tracking and temperature control of refrigerated containers, reefers and refrigerated trailers, trucks and cargo. Combining our advanced wired or wireless temperature monitoring sensors, GPS hardware and our Fleet.Net cloud software, the solution easily integrates with other applications and enterprise systems. Users gain 24/7 visibility & control into the location and temperature status of all their reefer trailers & container units, while reducing operational costs & cutting the risk of cargo loss and asset damage. Automated alarms also enable rapid response to equipment malfunctions, unplugged reefers and other critical conditions that could jeopardize valuable perishable shipments. 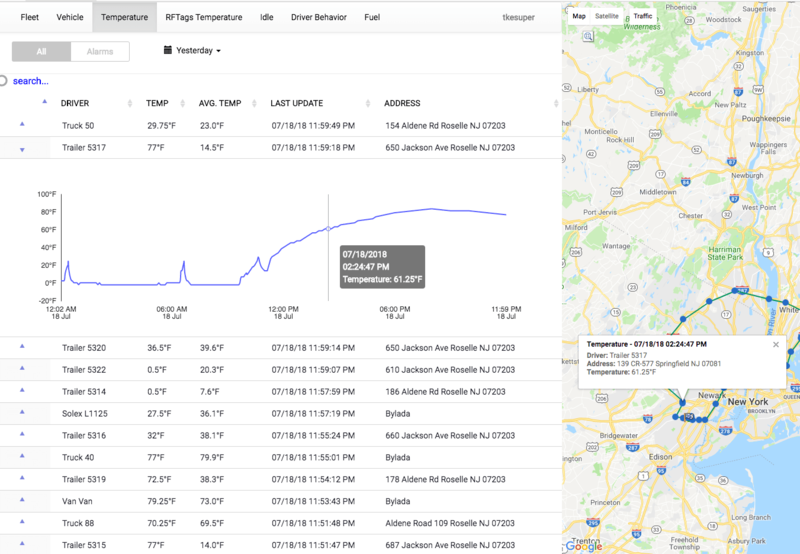 View, monitor and track in real-time the location and temperature of every reefer, refrigerated trailer or truck within your fleet. We offer wired temperature monitoring solutions as well as wireless temperature monitoring solutions depending on your needs. Receive real-time alerts as temperature deviations occur, minimizing temperature-related spoilage costs. Seamlessly and automatically record temperature across your cold chain, removing the need for manual record keeping by creating a unified, automated temperature logbook. Choose between wired or wireless temperature monitoring sensors to actively track and monitor the temperature & location of your reefers, assets or equipment in real-time – minimizing temperature-related spoilage costs. 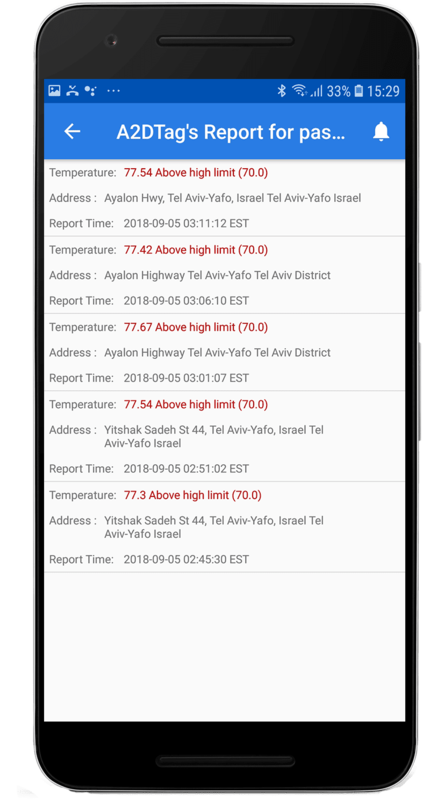 Your driver is now able to view real-time and historical temperature recordings for all the goods being transported. 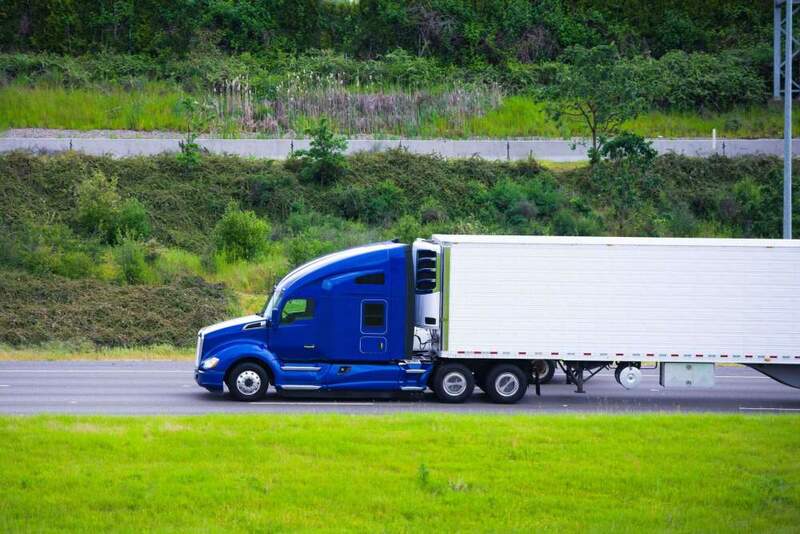 Automatic temperature alerts notify your driver in real-time of any temperature deviations so swift action can be taken to prevent spoilage when a need occurs. 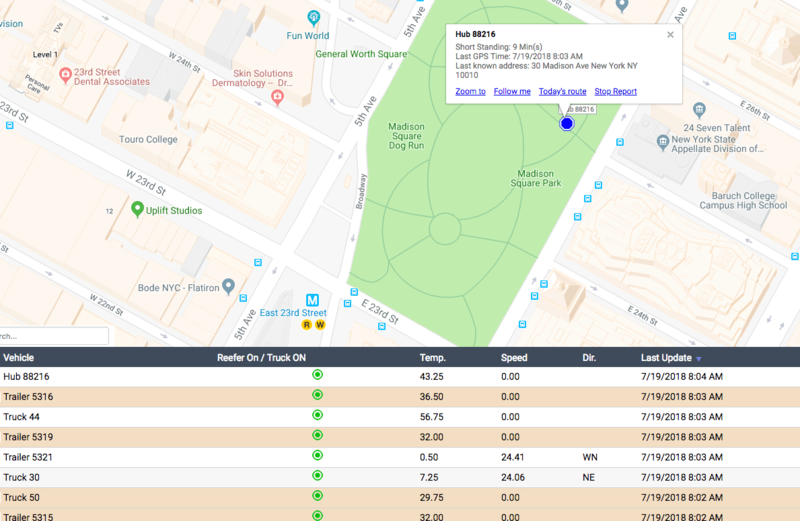 Drivers can add comments on each alert, giving your dispatcher even further visibility and context on how the alert was generated and handled. Percentage temperature deviations from previous readings and more! Automatically switch reefer ON/OFF to reach the preset temperature. Measure and improve routes with rich reports and route visualizations. Zoom in on any GPS position along route, and at a glance know their speed, temperature and direction. Set a geofence boundary radius and get alerts upon exit/entrance of boundary. You can even set a boundary within a boundary! 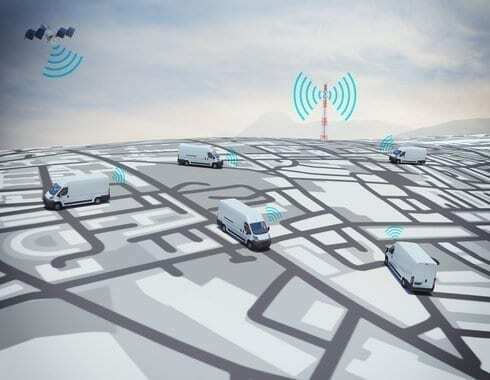 An active RFID monitoring solution integrated with fleet management. 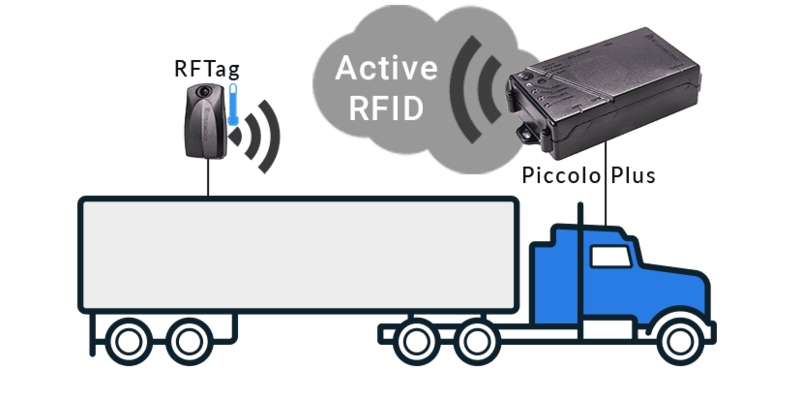 Simply mount wireless, waterproof Active RFID tags with high-accuracy temperature sensors to your refrigerated trailers to start monitoring the temperature and location of your trailers throughout your cold chain operation. Easy to deploy and highly scalable with no IT required. A GPS tracking device that provides functionalities including driver behavior detection & analysis, engine diagnostics and USB/BLE tethering for ELD Compliance. Capable of monitoring up to 6 different cold zones simultaneously with wired digital temperature sensors. 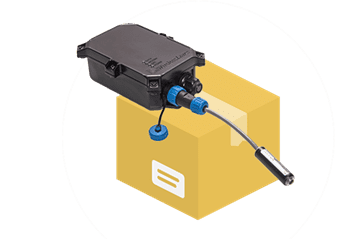 A versatile, dual mode unit for trailer tracking that operates as a real-time GPS tracker when tethered to power and as an autonomous, long life asset tracker once disconnected from external power. Capable of monitoring up to 6 different cold zones simultaneously. A wireless temperature monitoring device with integrated GPS tracking. 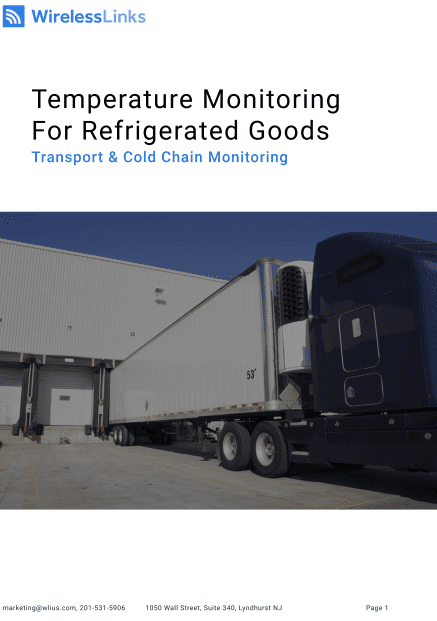 A perfect solution for monitoring the temperature of refrigerated shipping containers and temperature sensitive equipment, pallets or cargo. Simply place in desired area and you are all set.